Messer’s eponymous debut is a fun rock record, and a pretty damn good one at that. Its part modern rock, part nu-metal, part-alt-rock and part pop metal, or basically any combination of words really you’d normally use to describe a good rock album. In other words, Messer is a little bit Three Days Grace and Shinedown, a little bit Papa Roach and Breaking Benjamin. Lead single “Make This Life” is a defiant, fists-in-the-air, heart-pounding rock anthem meant to be cranked to 11 and shouted from the rooftops, words that can be used to describe the vast majority of Messer (opener “Throw It Away” sets the table, “Everything Beautiful” gets even heavier, “Fight Of My Life” is the catchiest song on Messer, “Still Better Off” features one of Messer’s best hooks, “Simple Man” is a snarling battle cry that the boys in Messer have had enough, a relatable mantra to each of our everyday lives (these are words you could easily scream out loud on the reg – ‘I am just a simple man, I’m better off alone, if you push me I’ll push back, I’m not taking anymore’), a track cut from the mold of Drowning Pool’s “Step Up,” “Save Myself” is straight ahead, no-frills, unabashed rock, “Whiskey” is a fun-as-hell frivolous ode to, you guessed it, the same-named potent brown liquid). The album triumphs during its slower moments as well as “Lay Down Your Heart” fills the album’s ballad quotient (‘You lay down your heart, I’ll lay down my arms, we could rise above, far from where we are, we both could use change,’ frontman Dereak Messer sings on the songs emotional hook). Messer is an album to immediately get in your crosshairs. 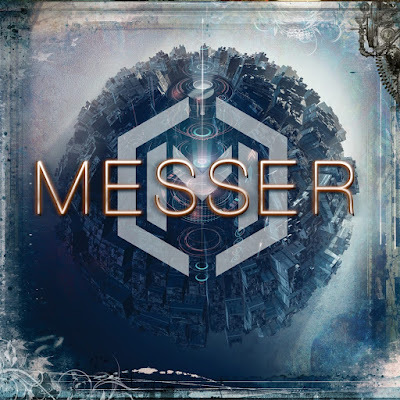 While 2018 will bring new albums from the likes of Godsmack, Sevendust and the afore mentioned Breaking Benjamin, Messer has the goods to hold up as one of 2018’s best comes year’s end.